Ystad Hamn can once again look back on a record period. Since 2015 the Swedish port set new records every year and this trend continued in 2018. Ystad is the one of the largest ports in Sweden, with daily ferry traffic to Poland and Bornholm. “Cargo, trucks, passengers and passenger cars continue to increase,” explains Ystad Hamn President and CEO Björn Boström. Railway wagons continue to decline, which has been the case since a long time. The number of buses are increasing, which is primarily due to the fact that the Bornholm Line, since they took over the Ystad-Rönne traffic, have their own bus line from Copenhagen. The bus continues the journey by ferry. The number of buses in the Poland traffic has increased as well. Both Polferries and the Bornholm Line have increased their traffic with more trips compared to the previous year. The port extension issue in Ystad (Sweden) has been settled. The City Council gave the green light, after some politicians expressed their opposition before. Social Democrats have proposed a billion investment in the city’s port area, while the Moderate Party said the possibilities for external funding should be examined first. The EU already granted support. 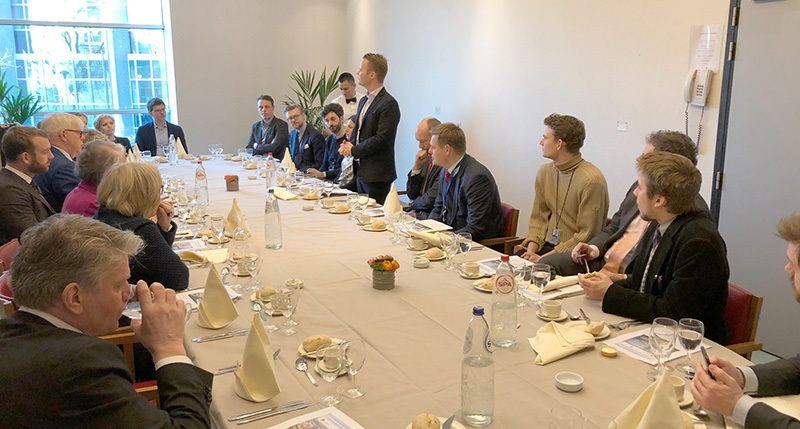 A round table meeting held in Brussels on Wednesday 28 focused on the possibility of expanding the Baltic-Adriatic transport corridor to also include Port of Ystad, connecting Scandinavia to the continent. The Baltic-Adriatic transport corridor is one of the most important trans-European road and railway axes and currently stretches from northern Italy via Bratislava and Vienna to Poland and the Szczecin-Świnoujście port. Port of Ystad once again celebrated another year of record numbers in 2017, with significant increases in traffic on both routes; Ystad – Świnoujście and Ystad – Rønne. In the finishing panel discussion, the European Commission representatives stated that Port of Ystad is a likely candidate for becoming a Core harbor, thus becoming part of the transport corridor. Photo: Danish MEP Jeppe Kofoed (standing) at the round table meeting concerning Port of Ystad. Port of Ystad’s good relationship with Poland was further strengthened by the visit of CEO Björn Boström to Deputy Maritime Minister Grzegorz Witkowski in Warsaw. 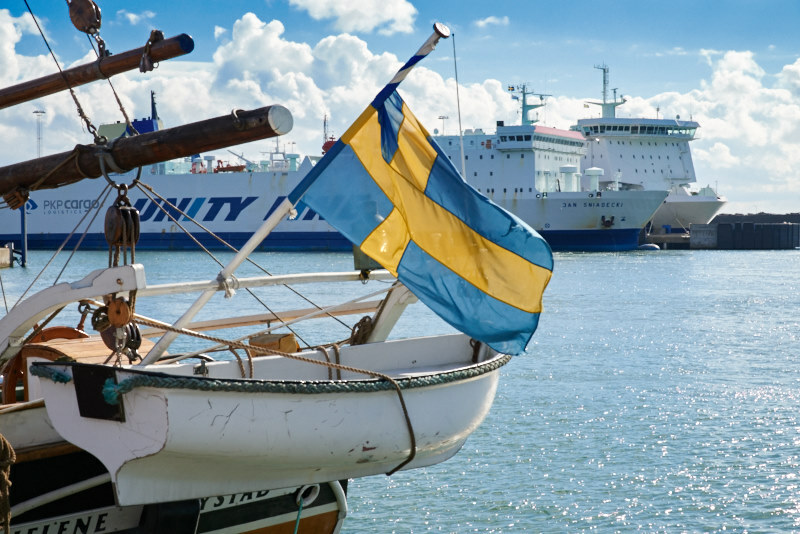 The Swedish town is expanding its ferry port, which will benefit the connection to Świnoujście, and the Polferries newbuildings. Ystad has been very good in bringing all politicians and actors together, in order to become a major port on the axe Sweden-Poland-Europe. With steadily increasing volumes, the Swedish port opened new areas to improve the logistical conditions for the port’s customers. On Monday, November 27, Ystad opened a new area of 33,000 m2 for vehicle pre-check-in. At the same time, another area of 23,000 m2 was opened, with two warehouses of 5,120 m2 each. The need for the expanded area is derived from an ever-increasing flow of passenger and cargo traffic through the port. Ystad Harbor is a central point for trade between Sweden and countries in Central and Eastern Europe. As from next year Ystad is going to build two new ferry berths in the outer harbour. In 2020 the first of several new ferries is expected to start operating the Ystad-Świnoujście line. Polferries has a ferry on order. 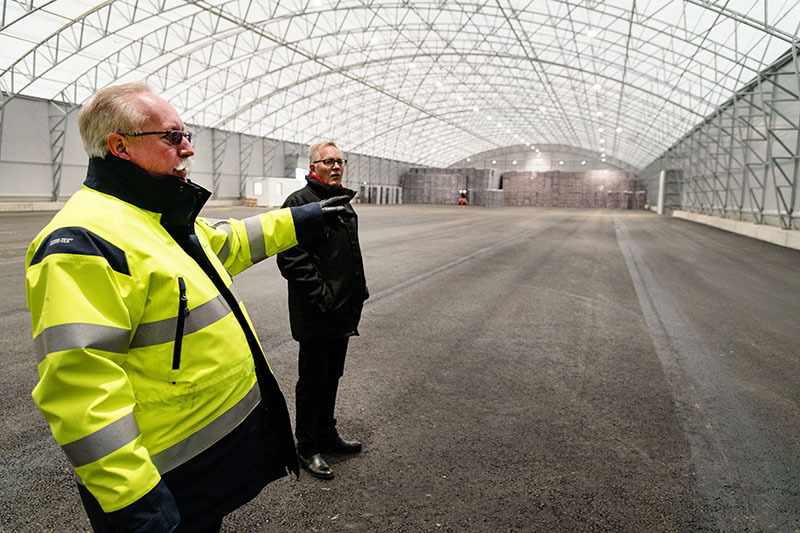 Hamn’s CEO Björn Boström and Chairman Kaj Jönsson showcase one of the new warehouses. During H1, Ystad Hamn AB once again achieved new record levels, with a marked increase in freight, passenger cars and passengers. The large increase in passenger numbers is derived from both Poland and Bornholm traffic, while the increase of goods mainly relates to the Polish traffic. If the volume increases continue in the same way during the rest of 2017, port operations will once again hit year-on-year records. The port is preparing to receive another vessel in Polish traffic this autumn, when Polferries’ will add a third vessel, the CRACOVIA.